With over 6 decades of experience, MBD Group has diversified into various industries including E- Learning, M-Learning, Skill Development, Eco Friendly Notebooks, Paper Manufacturing, ICT Infrastructure, Hospitality, Real Estate, Mall Development and Management. MBD Group has been continuously working for the cause of providing education to all with its vision to create “MBD Product for every literate person”. The group has also ventured into the South African and Sri-Lankan markets with its basket of education services. 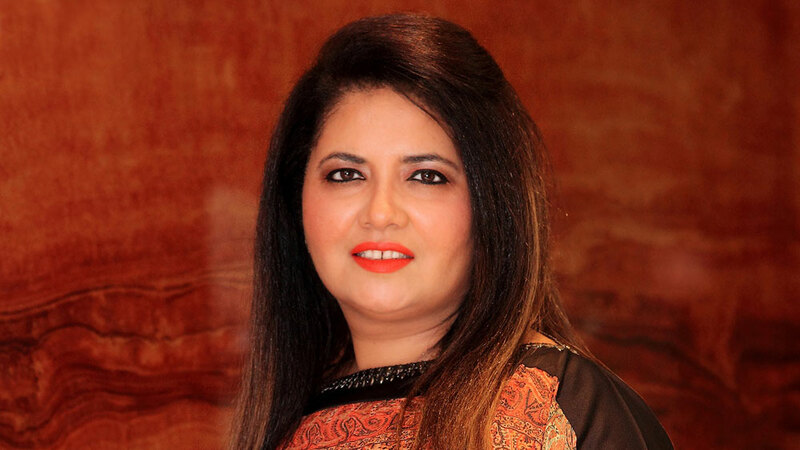 In an exclusive Interview with educationbiz.com, Ms. Monica Malhotra Kandhari, MD, MBD Group, talks about her Entrepreneurial journey and the focus of MBD Group on creating a benchmark for the Education industry. Tell us about your Entrepreneurial journey and what was the idea behind MBD Group? I started very early in life. I was inquisitive and had less patience for graduation to get over. I started working at the age of 15 and it involves observing my father doing things and this made my exposure into varied fields. When I entered the book making world, technology had started intervening every genre of Education. Looking at the transition, MBD in the field of Education has always been the pioneer in adopting any technology related to book making or whether it is a product. We were the first Pan India publishers to have books on all subjects concerning every field of study. And till now, we are the only ones. We have regional offices and publications to cater to every state. And to complete the circle, we have built up our production capacity. Going forward, we have many schools with ICT Solutions. We are working with 9 state governments in piling projects with Microsoft. We have also deployed ICT solutions with content in South Africa, which happens to be our first International office. We were the first Indian origin publishers to be there in the national catalog. Let’s talk about the recently launched Virtual Reality based content and device by MBD that involve a lot of investments. To what extent is Virtual Reality is possible in today’s time? If I look 20 years back, there was no question of Online Education to be in the picture. The transition came when we started realizing that it has actually sprung and investments for the same are worth making for. Such breakthroughs take time because technology has to be cultivated and on top of it, content takes time. It is a challenge to make people understand that it Online Education is here not to eradicate books but to compliment and supplement books. We need different resources for different students to match their level of understanding. What are the measures taken by MBD in Teacher Training Process? In the past, we have given free training to the teachers. We have imparted training to the teachers without giving a thought that in the near future, it will turn out to be an important vertical. We do not train them only on Digitisation processes; we map the gap and train them accordingly. We are into skill development with some of the state Governments like Rajasthan, Telangana, Andhra Pradesh, Jammu & Kashmir. We have 14 Skill centers in India. Skill training and capacity Building is a different vertical altogether and we focus on this extensively. How much focused is MBD particularly towards the curriculum of the Institution? We are governed by curriculum. We experiment how to put forward a concept in the most understandable manner. There are several guidelines that are vested upon us by the government. We cater to different levels of difficulty. What makes you different from other institutions is how innovatively you deal with content. MBD Group is coming out with an online education portal for teachers and students. What was the basic idea behind this Innovation. Kindly throw light. The idea was to make things simple and customised for the teachers and students. The information should be available within the very second of its need. All the information should be available on their phones for they might require an access to it even when they are travelling. The Innovation was completely focused on Education. It is to make an easy access for the students in terms of education. Any collaborations in the education sector. Kindly share the expansion plans. We do collaborations when we are making a certain type of product. Now, curriculum is on the threshold of a change and the challenge is to refresh all the books. Going forward, MBD wants to map different countries. We have mapped Sri Lanka and were appreciated by the government because of our content. Other countries in collaboration includes Nigeria, South Africa, etc.